This month we have the pleasure of interviewing David Mureriwa, FIA, FASSA, from Zimbabwe. David is the Chief Actuary at African Actuarial Consultants. He is a Statutory Actuary to a number of Pension Funds in Zimbabwe and Africa. He is also Consulting Actuary to a number of Life Offices in Zimbabwe. David also gives financial and actuarial advice to General Insurance Companies and Medical Aid Funds. David has over 20 years working experience in the Actuarial Consulting Business within the Southern African Development Community region. He has worked in Corporate Life, Pensions, Health, General Insurance and Investments in Zimbabwe, Namibia and South Africa. David is the current President of the Actuarial Society of Zimbabwe. He is the Chairman of Actuarial Society of Zimbabwe's Education Committee. 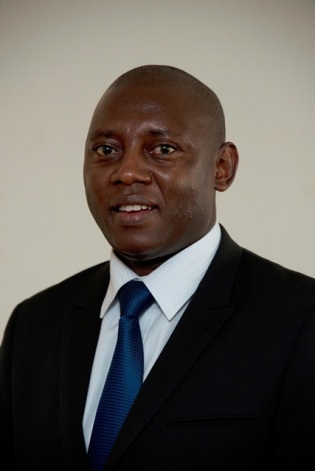 He is also Advisor of the Institute and Faculty of Actuaries in Zimbabwe. David is also the current Head of International Mentorship Program of the Association of South African Black Actuarial Professionals. He is part time Lecturer at National University of Science and Technology. David holds a First Class Honours Degree in Mathematics from the University of Zimbabwe. He is a Fellow of both the Institute and Faculty of Actuaries in the United Kingdom and the Actuarial Society of South Africa. ACTEX Learning (AL): How many practicing actuaries are there in Zimbabwe? David Mureriwa (DM):There are currently ten resident, practicing actuaries in the Zimbabwean market. DM: The National University of Science And Technology (Zimbabwe) started offering the Actuarial Science Degree in the year 1998. DM: I enjoy the challenges associated with the job. Being an actuary requires one to put in a lot of long hours and it requires considerable updating of professional skills. The actuarial profession also brings a lot of privileges with it. It is a valued career that is quite rewarding. Actuaries are one of the best paid professionals in the country. DM: I joined the actuarial profession by accident in 1994 whilst I was studying towards a Mathematics Degree at the University of Zimbabwe. Insurance companies were forced to have an actuarial department, so they came to the University seeking help, and since I was the best student in my year, I was offered a job on the spot. I then found myself writing actuarial exams from 1995 on, and I found the profession rewarding though I still regret not fulfilling my childhood dream of being a Mathematics professor. DM: Two major highlights were the merger of the Institute and Faculty of Actuaries and the emergence of actuaries in wider fields. DM: There are a lot of challenges in our actuarial market. There are currently very few actuaries working in the country. The markets are also neither stable nor deep, which makes it hard to set actuarial assumptions. This has therefore led to variable actuarial methods and assumptions in use. There are also issues in regaining public confidence after low pension values were granted to pensioners after the recent hyperinflationary period. Board ownership of actuarial output is also not sufficiently emphasized. There is also a lack of commitment by members of the Actuarial Society of Zimbabwe as only a few take up volunteering roles when they arise. In addition, the regulation system in Zimbabwe is weak. The Pension and Provident Act as well as the Insurance Act are quite outdated. This is worsened by low compliance with the Insurance and Pensions Commission circulars. The valuation of Defined Contribution Funds is also not mandatory. There is no strict regulation of all the actuarial work carried out which means some of the actuarial work is carried out by unqualified actuaries. Another challenge is the presence of very serious data challenges in the market. This is as a result of the lag in technology in the country which leads to poor information capturing and storage systems. DM: There are progressive steps towards making use of risk based approaches i.e. Solvency II/SAM. The Insurance and Pensions Commission in Zimbabwe also is looking forward and there are current amendments in progress to the Insurance Bill and the Pensions and Provident Fund Act. There was a recent launch of the National Code on Corporate governance which provides a framework for corporate conduct for both the public and private sector. There is talk of harmonizing actuarial methods which will ensure that there is consistency and uniformity in the various work carried out by actuaries. The Actuarial Society of Zimbabwe (ASZ) has also made significant strides since its re-launch in 2010. There have been great improvements in the actuarial profession in Zimbabwe since its rebirth with ASZ registering all actuaries doing work in Zimbabwe and lobbying for better legislation in the industry. The ASZ works closely with the Insurance and Pensions Commission (IPEC) in trying to improve the functionality of the market. DM: There is a serious lack of appreciation of actuarial input and work, however I see this changing for the positive through the influence of the Actuarial Society of Zimbabwe. It is working towards the betterment and increased exposure of the actuarial profession in Zimbabwe by carrying out annual conventions, hosting talks on actuarial issues, and offering career guidance exercises. I foresee regulatory changes which will greatly influence the future of the Actuarial profession in Zimbabwe. I also foresee more actuaries taking up greater roles in non-traditional actuarial fields considering the direction that the country's economy is headed and the world economy at large. However this might lead to a greater need for qualified actuaries in the country. DM: With the emergence of greater actuarial roles in non-traditional actuarial areas, I believe having a qualification in other fields e.g. Enterprise Risk Management, General Insurance, Banking is very important. DM: Currently, one local university offers the Actuarial Science degree and most students study on their own through the Institute and Faculty of Actuaries. DM: There is currently no Zimbabwean Actuarial Fellowship which means most members make use of the Institute and Faculty of Actuaries (IFOA) or the Actuarial Society of South Africa (ASSA). DM: Most employers offer full or partial support. DM: The current reputation of actuaries in Zimbabwe is poor following the conversion exercise carried out after the hyperinflationary period which led to pensioners receiving very low pension values. The public attributes this to the methods and assumptions made use of by actuaries in carrying out the conversion exercise from the Zimbabwean dollar to the United States dollar. DM: The Actuarial Society of Zimbabwe is diligently working towards the growth and exposure of the actuarial career in Zimbabwe and is succeeding profoundly to date. However the society should now work towards coming up with Zimbabwe actuarial practice modules and mortality tables fit for the Zimbabwean market. There is also room for more actuaries in Zimbabwe provided the policymakers create an environment that attracts Zimbabwean actuaries from overseas. The standards of local universities should also improve to ensure that students get exam exemptions. Companies that employ actuaries in Zimbabwe should also invest in IT infrastructure to enable the usage of progressive methods like Sungard, iWorks and Prophet. The Insurance and Pension Acts in Zimbabwe must also be modernized and the Insurance and Pension Commission (IPEC), National Social Security Authority (NSSA) and the government must have functional actuarial departments. The local insurance commission should make it compulsory for each insurer to have an actuary who must be a board member. This, I believe, will improve the operation of insurance firms in Zimbabwe.